If you’ve ever been in Hong Kong for Chinese New Year, then you’ll be well acquainted with fact that the city gets MASSIVELY crowded at the close of the Lunar New Year. Have you tried taking your guests to any of the “typical” Hong Kong sites, such as The Peak, The Big Buddha or even on the Star Ferry? If so, you probably remember huge queues at all of those spots. So, if you will indeed be in Hong Kong for Chinese New Year, and you’re wondering how to avoid all of the crowds, you’ve come to the right place! Below we share with you 10 off the beaten path Hong Kong experiences that will not only wow you and your guests but will also allow you to avoid the crowds in Hong Kong during Chinese New Year. Let us know if you have any questions about these, as we’re always glad to help! A view from Po Toi Island. If you’re in Hong Kong for Chinese New Year, a trip to Poi Toi Island, one of Hong Kong’s southern most outlaying islands, is a must! The ferry schedule is quite limited, but that simply means Po Toi Island will be less crowded during CNY! Check out our Poi Toi Island Guide here! This is one of the many canals in Tai Po. 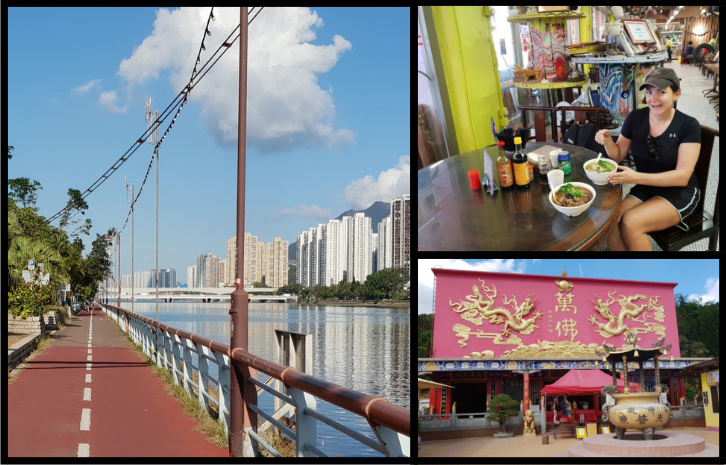 Tai Po is a GREAT place to see some of Hong Kong’s local culture. Since it is not a typical Hong Kong tourist destination, it’ll be a great choice during Chinese New Year. Moreover, this ~9 km family-friendly walking tour will give you plenty of room to spread out, so again, you’ll likely not hit too many crowds. Check out our Tai Po Walking Tour Guide here! Cycling in Sha Tin affords you many different experiences. If cycling, a Buddhist temple and some FANTASTIC local food are things you or your guests would like to experience, this is another great choice for avoiding the crowds in Hong Kong during Chinese New Year. Check out our Cycling in Sha Tin Guide here! Enjoy the entire beach to yourself! While a deserted beach may not sound like a winter time activity in Hong Kong, due to our mild weather it’s actually a perfect time to check one out. Best of all, winter time in Hong Kong is the least busy time for beaches, so you’ll definitely avoid crowds on this one. Check out our Hike to Sea Ranch Beach Guide here! Nothing avoids crowds more than camping on Lantau Island in Hong Kong. You’ll need some camping gear for this one, but if you’re appropriately prepared, camping on Lantau is a blast. It’s completely free, there’ll be virtually no mosquitoes to worry about, and it’ll definitely help you avoid the crowds in Hong Kong during Chinese New Year. Check out our Camping on Lantau Island Guide here! The views from this ridge are STUNNING. 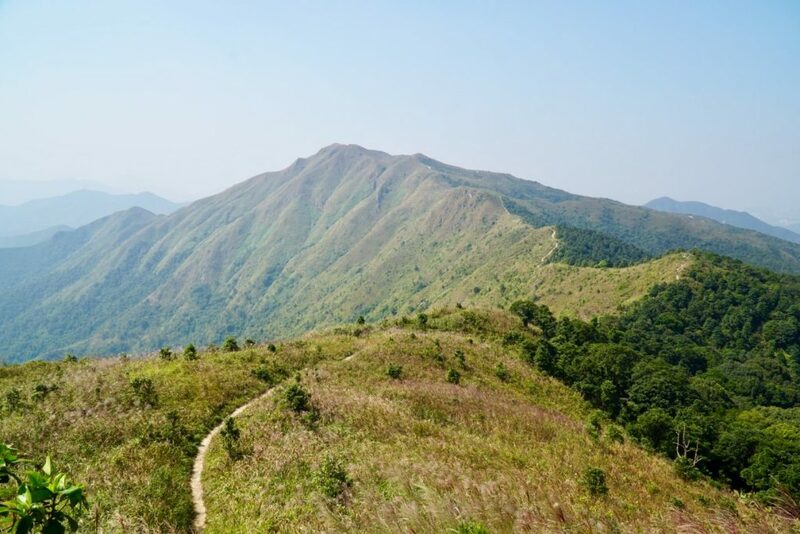 Many consider this ridge hike across Pat Sin Leng (The Ridge of 8 Immortals) to be one of the most scenic hikes in Hong Kong, and we agree! Due to it’s somewhat remote location, it’ll surely be uncrowded during Chinese New Year. Check our our Hike Pat Sin Leng Guide here! Mt. High West is a good choice for hiking on Hong Kong Island. If you are on Hong Kong Island during Chinese New Year, this beautiful hike up Mt. High West will allow you to avoid the crowds, and it will DEFINITELY give you stunning views of Hong Kong Island and beyond! Check out our Hike Mt. High West in Kennedy Town guide here! 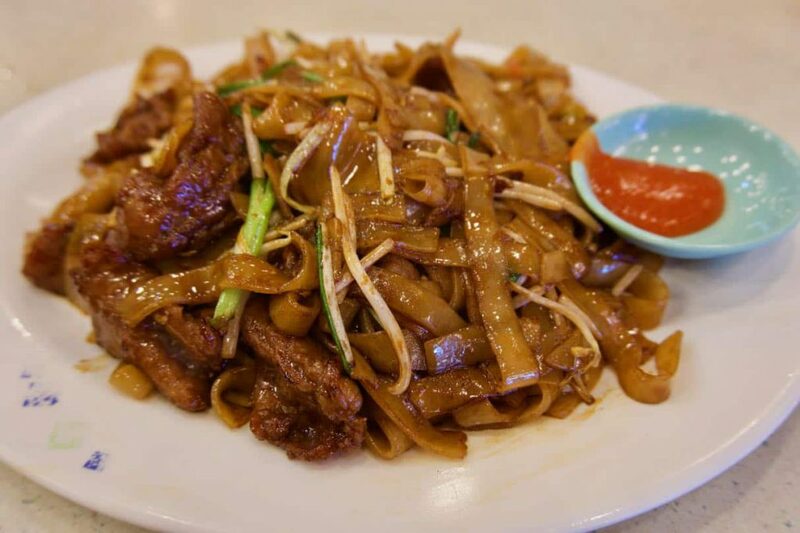 The Gong Chau Ngau Ho, or beef noodles, pictured above, are a Hong Kong classic. 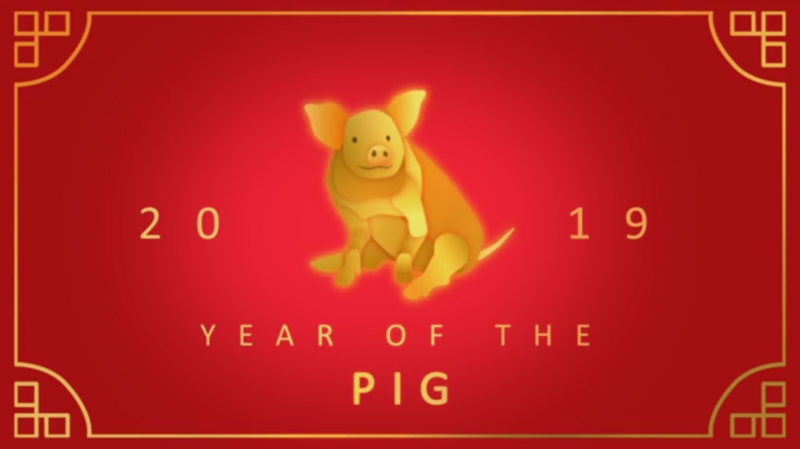 While these restaurants are quite far from downtown, they will help you avoid the Chinese New Year crowds! Even if you don’t go to these specific places, make sure to enjoy some of these local treats! Check out our Hong Kong Soul Food Guide here! Enjoy the waterfalls at Ng Tung Chai. You’ll have to travel way up into the New Territories to experience the Waterfalls at Ng Tung Chai, but the travel will be well worth it. This is another spot that will help you avoid Hong Kong’s Chinese New Year crowds. During CNY, we recommend you travel here by first going to the Kam Sheung MTR Station, and then taking the 64K bus to the Ngau Len Wo bus stop (it will be displayed on the bus in both Cantonese and English), then starting the hike. 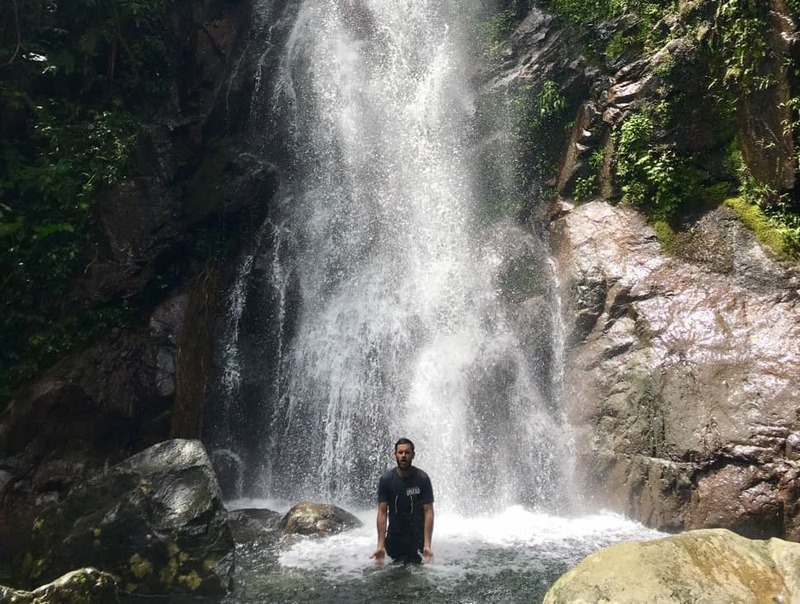 Check out our Ng Tung Chai Waterfall Hiking Guide here! Suicide Cliff gives you a brilliant view of Kowloon and beyond! Suicide Cliff is indeed a popular tourist destination, BUT, if you plan to experience this breath taking cliff for either sun rise or sunset, you’ll surely avoid the crowds in Hong Kong during Chinese New Year. Check out our Hike Suicide Cliff Guide here! Whatever you decide to do, let us know if you have any questions by either reaching out to us here, or by leaving a comment below!